Another winter clearance sale offer by Cross stitched. As we all know that mostly women like to shop winter dresses from sales. Therefore, here we are talking about the crosCross Stitch Winter Clearance sale offer 2019. Through Cross Stitch Winter Clearance sale offer 2019 you can get upto 50% off price on all winter linen & lawn shirts for women. 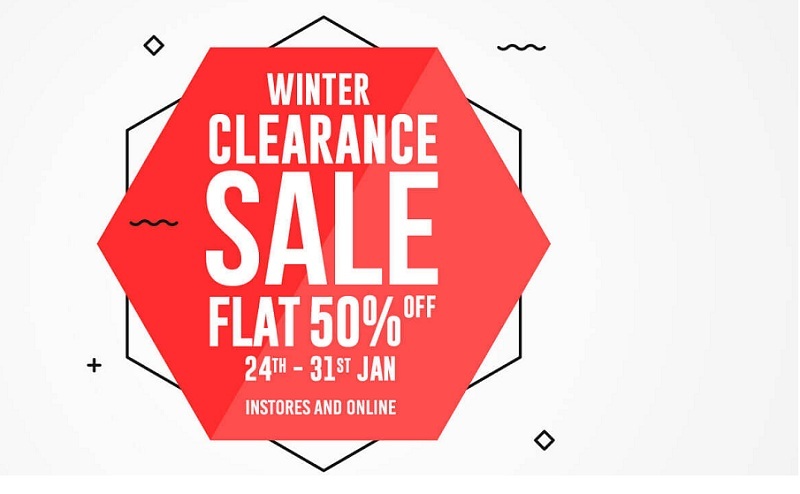 Now, you can enjoy flat 50% Off price on all winter clearance product from 24 January 2019 till 31st January 2019. Furthermore, this Cross Stitch Winter Clearance sale offer valid in-stores and online website. Moreover, the average delivery time of shipping required time 3-5 business days. Let’s check out corsCross Stitch Winter Clearance offer 2019 dresses. Get hurry to find a beautiful winter dress up to 50% Off-price.